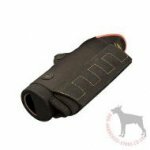 Dog Harness or Collar - Which One to Choose? 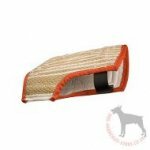 Many dog owners are often interested what is the best for their pet – a chest harness or a collar? 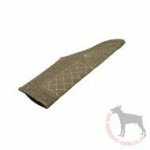 The dog harness consists of strap that comes between the forelegs and is joined to the strap clasped or tightened round the trunk. 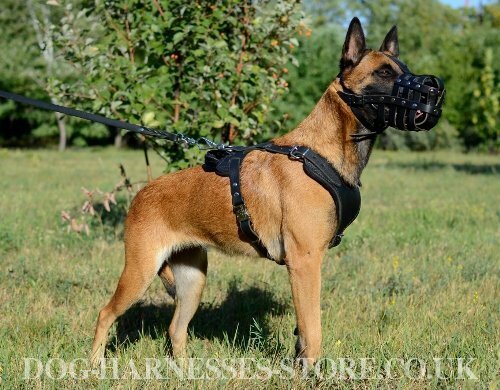 The cardinal difference of a harness from a collar consists in different loads, e.g., when the dog pulls on the leash, its neck isn't squeezed and the animal doesn't cough and wheeze. It is not recommended to wear harness on little puppies since their skeleton is developed. 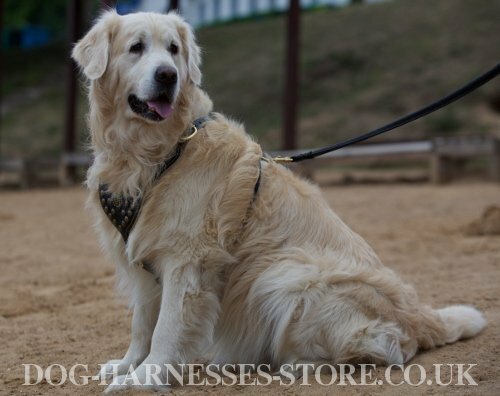 If the dog begins to wear harness too early it can cause problems with the spine and limbs. 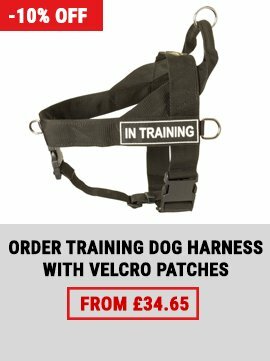 If your breeder or veterinarian nevertheless advises to purchase a harness for the dog, be sure to choose the easiest one and don't hang on weighting materials. 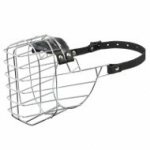 Choosing the dog harness you have to be so earnest, as well as choosing the dog muzzle. The material, from which the harness is made of, should be soft and smooth. 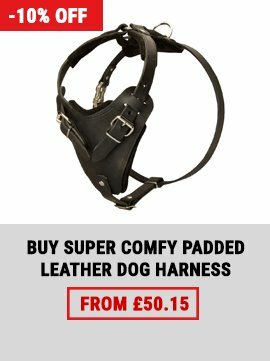 It is very important that the harness fits the dog ideally. It may not sit too close; otherwise it will push the dog spine. 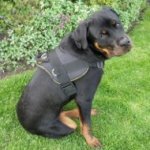 If the harness is adjusted properly, your hand has to go through freely between the strap and your pet's body. 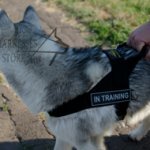 There are not only walking harnesses, but also special harnesses, such as guard dog harness, tracking or carting harness for dogs. 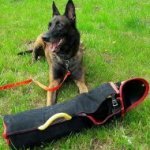 Tracking (carting) harness is used for skier tracking, competitions and for dog muscles development. 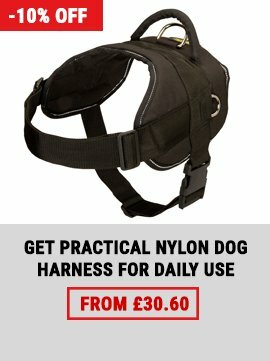 You can no way manage without a harness, if you train your dog often. 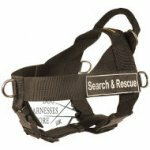 Such harnesses are made of waterproof cloth and tape of high strength. There are even car harnesses for dog safety. The harness is the best solution for such little breeds as Yorkshire Terrier and Chihuahua. 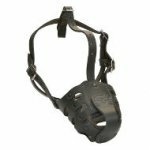 Just like dogs with short necks – Bulldog, Pug – will feel more comfortable in a harness than in a collar. 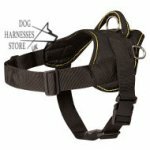 Choosing harness for the dog pay attention to that it is fitted up with a lining. All metal elements you have to check on their strength and working quality. 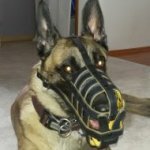 It would be better if the harness would have reflective elements so that the dog would be visible in the dark. 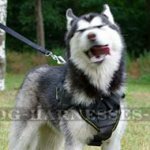 Learn also how to choose dog leash for a harness.